The report into the NSW RSL is a timely reminder for all charities to review their compliance with the current legislation, writes HLB Mann Judd. Last week, the Hon PA Bergin SC’s report into the compliance of RSL NSW, RSL WBI and RSL Lifecare was published, raising a number of issues regarding compliance with the NSW Charitable Fundraising Act, Regulations and Conditions, the results of which have been heavily reported in the media. One aspect of this was regarding what constitutes a fundraising appeal and the implications of this. The legislation is confusing and is difficult to interpret in some areas. The report has made a number of recommendations including that consideration be given to the introduction of a single, unified, Australian statutory regime for the regulation of charitable fundraising. However, it is likely that will take time for the recommendations to be implemented, especially where there are various state bodies involved. Therefore, this is a timely reminder for all charities to review their compliance with the current legislation. Many charities consider that they are not involved in fundraising appeals, because they don’t have people knocking on doors and asking for money. However, the definition of fundraising is far wider reaching that what you might think. is or includes a charitable purpose. Many people are surprised when they read this definition, and realise it is different to what they thought a fundraising appeal constitutes. Do we participate in fundraising appeals? (refer definition above). Do we have an Authority to Fundraise under the legislation? If not, should we? What are the conditions attached to the Authority to Fundraise? Are our board, management, and those involved in fundraising aware of the requirements of the legislation? Do our board, management and those involvement in fundraising receive training (initial training upon commencing, and ongoing) on the requirements of the legislation and how to ensure compliance? Do we have a checklist that lists the requirements of the legislation that we use to monitor compliance? Does our accounts package record the information required under the legislation and leaves an adequate audit trail? Does our financial report include the statement required by the legislation by the president or some other responsible member of the governing body? Has our auditor checked compliance with the act, and does the auditor’s report form an opinion of compliance with the act? The above list is not exhaustive, but more of a starting point to help you in assessing whether there may be an issue. 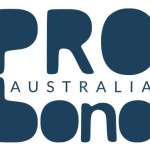 If you require any assistance with this, our experienced not-for-profit experts, who have provided advice to a number of clients in relation to compliance with the act, are available to assist.